At the Law Office of Thomas W. Malik in Wauconda, Illinois, we are fully prepared to help you with all of the serious and complex legal issues affecting your livelihood, your property, your business and your future. 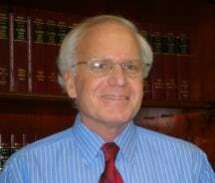 An Illinois native, our law firm's founder, Thomas W. Malik, has practiced law since obtaining his Juris Doctor from Duke University School of Law in 1973, and he has achieved notable success helping our clients achieve the favorable results they seek. Admitted to practice before all state courts as well as the U.S. District Court for the Northern District of Illinois, the U.S. Court of Appeals for the 7th Circuit and the U.S. Supreme Court, we possess the skills and resources necessary to handle your needs no matter how difficult or challenging your situation, and we promise to always remain accessible to address your questions and concerns, and to provide regular updates as to the status of your case. For more information on the services we offer and to receive a free initial consultation concerning your matter, you can contact the Law Office of Thomas W. Malik to schedule an appointment, and Mr. Malik can meet you in the evening or on the weekend if you cannot make it to our office during normal business hours.